National house prices recorded the steepest annual fall in 15 years taking property prices back to mid-2016 levels, according to Domain's latest report. Given the nation's low-interest rate environment and economic position, it’s clear access to credit has been the main driver. Those vying to leap onto the property ladder have an opportunity to enter the market with prices now at a two-and-a-half-year low, highlights Domain’s State of the Market Report. Despite the banks passing on higher funding costs and raising rates out-of-cycle, Domain senior research analyst Dr Nicola Powell says a rate cut from the Reserve Bank is becoming a greater possibility and would help to offset higher loan costs. Nationally, house prices are now 6.5 per cent lower than they were a year ago at $766, 438, and unit prices are down 5.3 per cent over the year at $530,999. House prices fell 3.2 per cent over the quarter and 9.9 per cent over the year to $1,062,619. Unit prices fell 3.3 per cent over the quarter and 5.8 per cent over the year to $702,012. Affordability is improving in the iconic harbour city, with opportunities also opening for the “upsize buyer” in the softening property market. 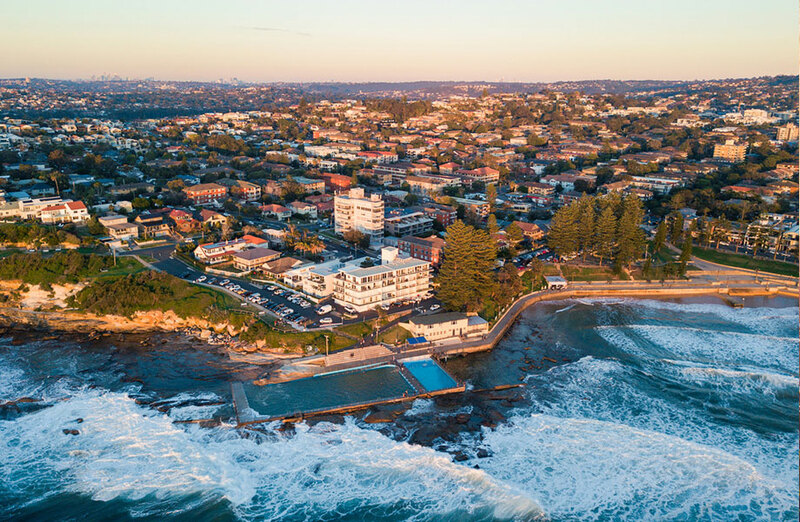 Powell says astute investors, able to secure finance, might start to look to Sydney as they hunt for the right opportunity to purchase in these conditions. For the second time since Domain records started in 1993 house prices have fallen for four consecutive quarters, the only other period this occurred was in 2008. “Despite the consistent quarterly moderations, the depth of the falls have not gained significant momentum,” Powell said. And similar to houses, unit prices have also decreased for four consecutive quarters. House prices fell 2.1 per cent over the quarter and 8.4 per cent over the year to $833,321. Unit prices fell 1.8 per cent over the quarter and 4.3 per cent over the year to $479,306. In good news for Melbournians, so far the downturn here has been shorter and less severe compared to Sydney. “Melbourne house prices have now fallen four consecutive quarters, the last time this occurred was seven years ago. Although Domain says it’s worth remembering this downturn follows an extraordinary period of growth which saw house prices soar 72.8 per cent across just five years. “Houses are 8.4 per cent below the price peak achieved at the end of 2017, with homes now transacting at late-2016 prices. 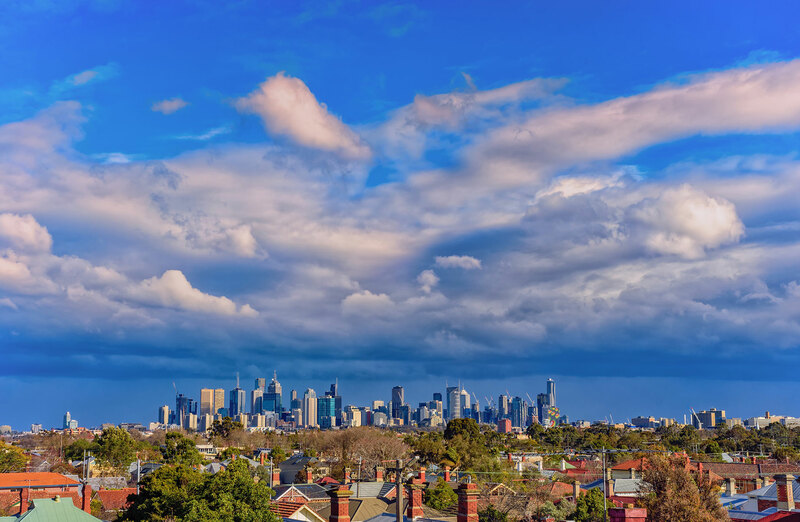 The Domain report says for the first time on record, Melbourne unit prices have fallen for three consecutive quarters. 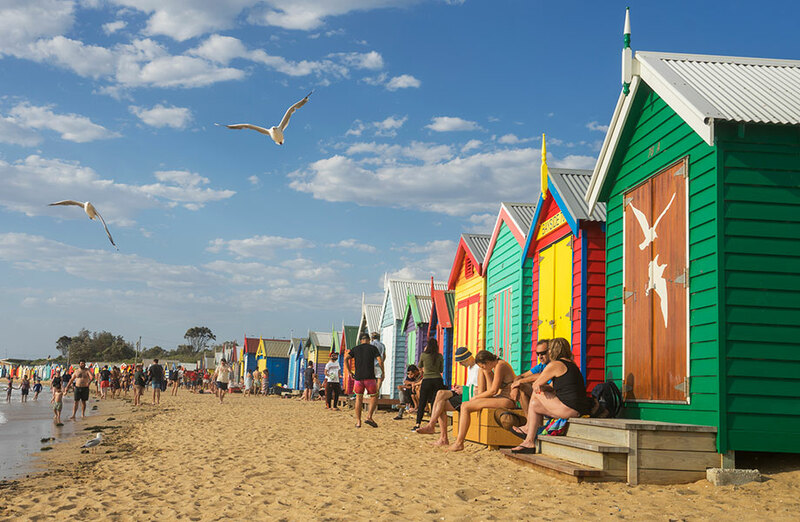 Although Melbourne's unit prices are holding firmer than houses. “Unit values are now 5.8 per cent below the price peak reached at the beginning of 2018,” Powell said. House prices fell 0.2 per cent over the quarter and 0.1 per cent over the year to $566,058. Unit prices fell 5 per cent over the quarter and 7.9 per cent over the year to $369,882. Credit curbs are not only impacting the larger states but Brisbane’s stoic housing market too. Domain notes greater Brisbane’s house price growth “evaporated by the end of 2018” with “prices ultimately flattening over the quarter and year”. “[Credit restrictions] is now having a marked effect on housing markets that would otherwise be growing,” Powell said. The sunshine state capital was the nation’s fourth-best performing capital city, behind Hobart, Adelaide and Canberra. Positives for the region include greater job prospects and strong interstate migration which is at a 12-year high. Domain notes it has recorded an increase in the number of views per listing. 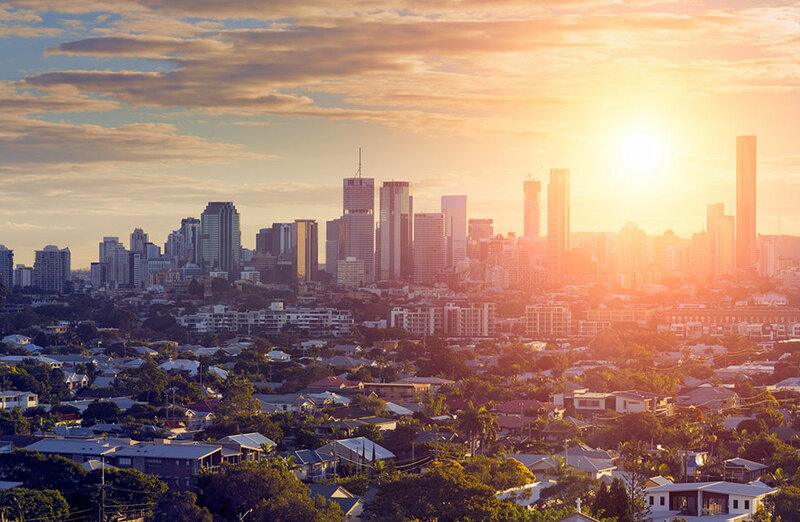 While greater Brisbane unit prices recorded the steepest annual fall in roughly 17 years thanks to increasing levels of supply. The positives, Powell notes this has created a window for buyers to purchase at 2013 prices,” she said. But Powell anticipates this surplus unit supply will be absorbed. 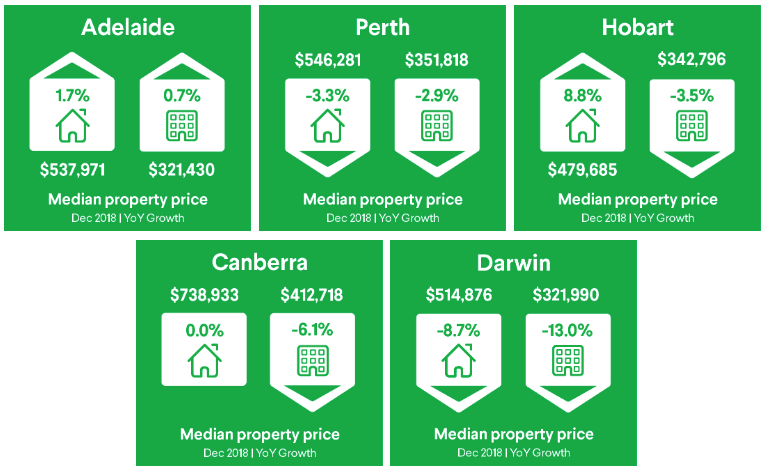 Only two capital cities saw house price increases in 2018, with Hobart the clear standout performer, followed by Adelaide.